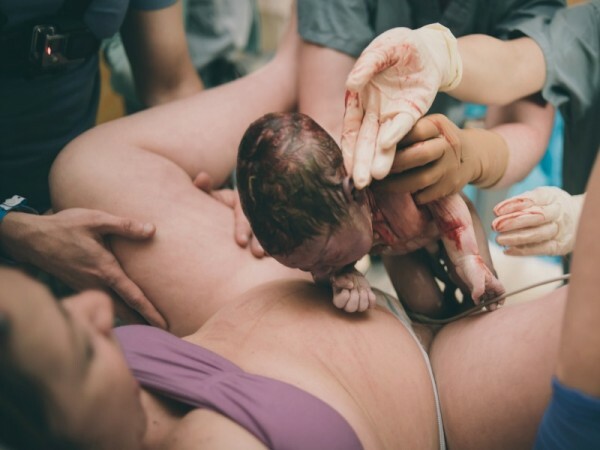 From clutching at the bed through contractions to cradling a newborn for the first time, this five-minute video captures labour and delivery like no other – through a GoPro. Yes, you do see it all. And it is beautiful. The GoPro is one of the cleverest cameras on the market these days, but while most of us take our GoPros with us on holidays or when on outdoor adventures, new dad Caique Santiago brought his with him to the delivery room. Caique, who is Canadian, and his partner Constance Nunes welcomed their daughter, Liz into the world in April 2015. It is clearly a day they will never forget, especially as Caique captured it using a GoPro camera strapped to his chest. The video encapsulates the stages of labour that many mums will relate to as Constance sways through the contractions and prepares to push. 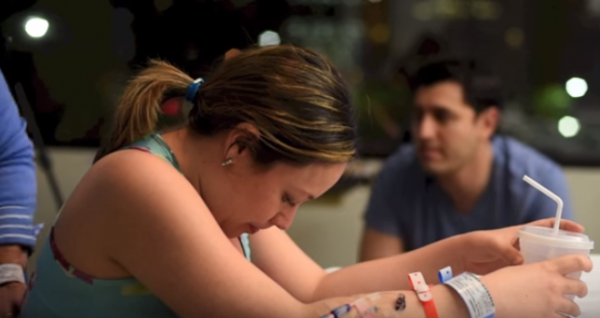 She relies on a team of support and the video vividly captures the love shared by the family during this special time. The moment Constance gives birth to her daughter is raw, powerful and, although quite graphic, very beautiful at the same time. And the moments after the birth – the first cry, the first cuddle, the first kiss, well, make sure you have some tissues on hand. While many mums may be a little hesitant about letting their partner down there (I wouldn’t even let mine steal a peak below the tummy), Constance clearly has no qualms about sharing her experience. And kudos to Caique for not only being a beacon of support, but also a human camera. The couple recently re-shared their experience to commemorate their daughter’s first birthday. The YouTube video combines real life shots captured by the father-to-be with stunning black and white images taken by birth photographer, Cradled Creations. “Our days have been filled out with a love that I always thought could never exist,” the proud dad wrote on the couple’s YouTube birth video. It is a video that the family will certainly cherish forever. And, as an outsider looking in, it is certainly one to pull at the heart strings and tug at the ovaries.